Paul McCartney in Montreal or Quebec City? Inform me about the next events for Paul McCartney. Enroll yourself to our priority waiting list for Paul McCartney to be alerted when new tickets are available. Filling this form doesn't engage you to any purchase. Paul McCartney is going on tour! And yes, the former Beatles member will present his Freshen Up tour. His first concert will be held at the Quebec City Videotron Centre on September 17th. Montreal fans will have the chance to see Sir Paul McCartney at the Montreal Bell Centre on September 20th, 2018. Paul McCartney is an undeniable icon of music attracting crowds everywhere in his path. His last visit in the area was in 2013, when he performed on the Plains of Abraham as part of the Quebec City Summer Festival. 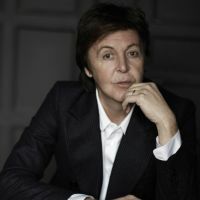 Reserve your tickets for Paul McCartney today with 514-Billets.com!